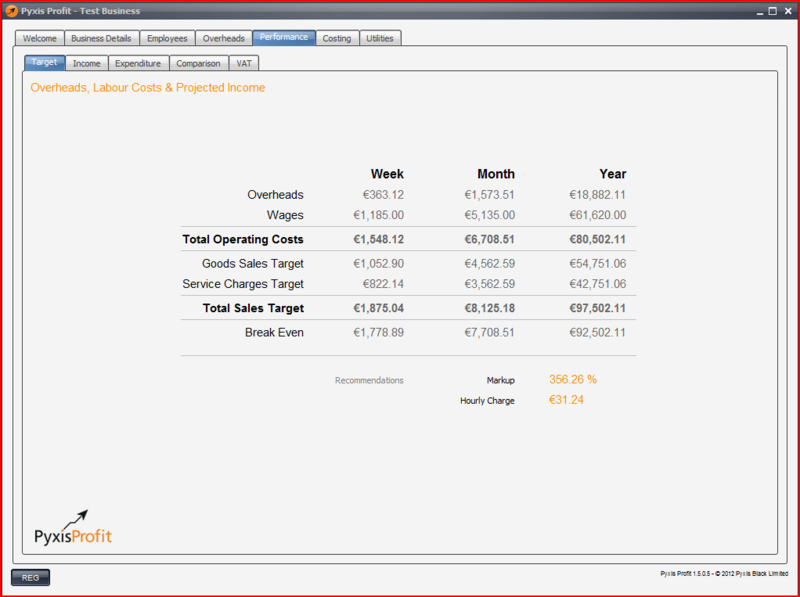 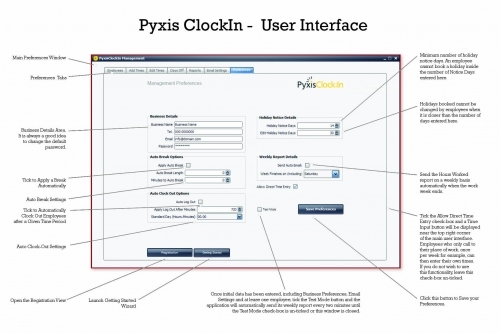 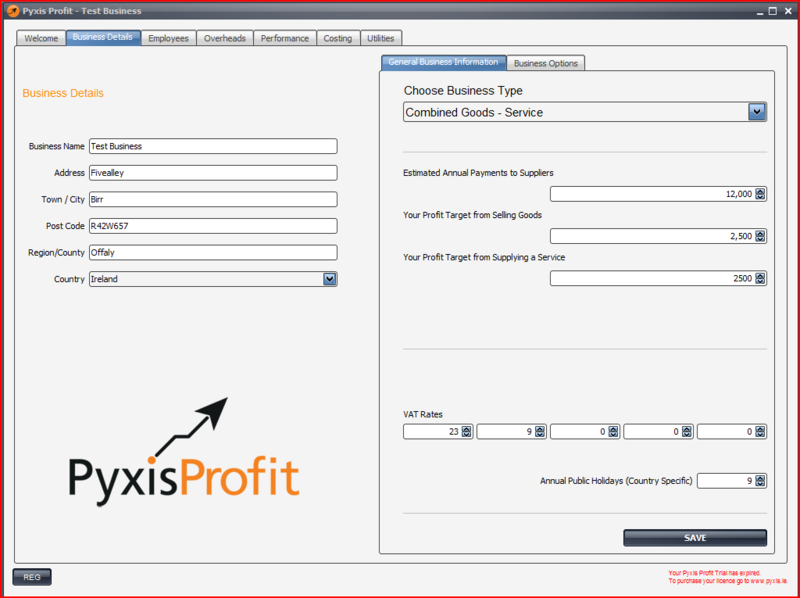 Pyxis Profit is a business calculator. 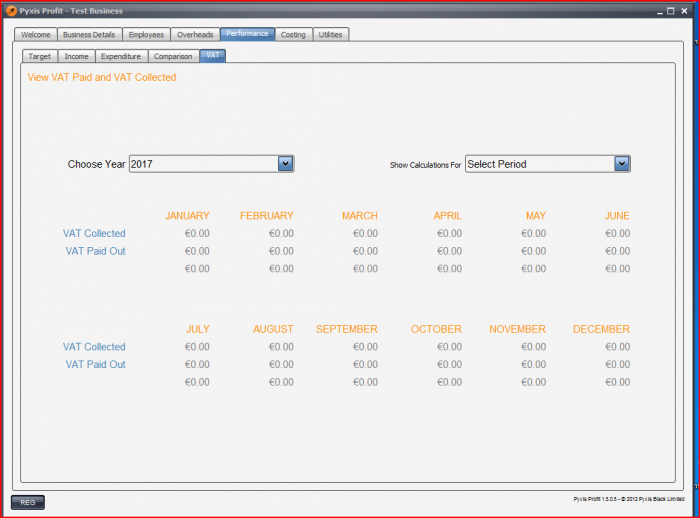 Simply input your overheads, wages and profit target and it will create a recommended hourly rate and / or markup, depending on the business type you choose. It will also generate weekly, monthly and annual target and break-even figures for your specific business. Not only that but if you enter your income and purchases figures, it will help you complete your VAT Returns. 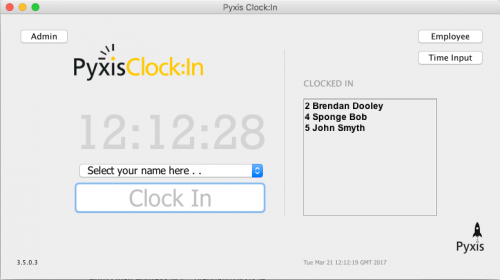 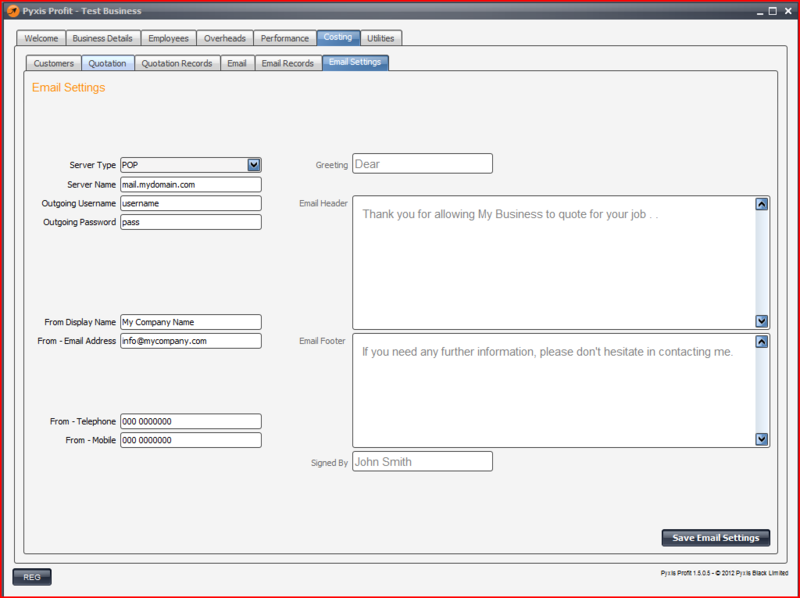 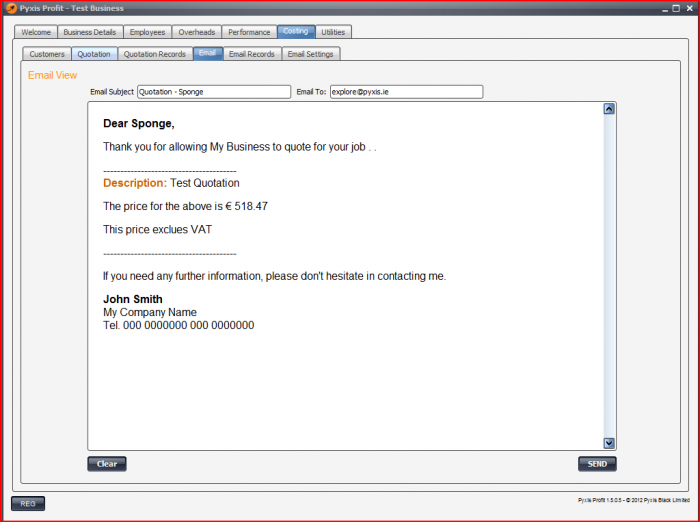 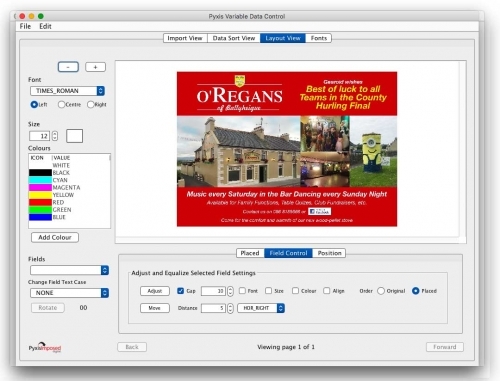 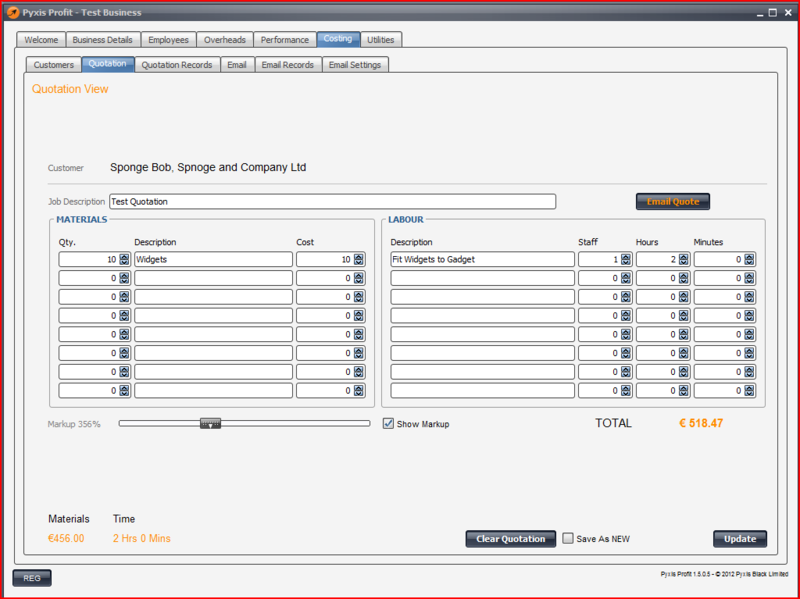 Pyxis Profit can be used to generate and email quotations. 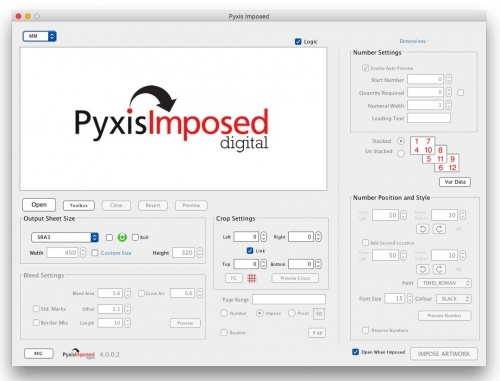 This is a 12 Month licence for the PC version of Pyxis Profit. The licence entitles the owner to install one instance of the application.